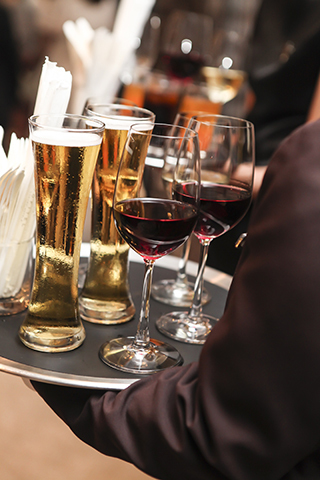 Hosting an event with alcohol requires responsibility for all involved and should be managed with professionalism. 1. Minors will not be allowed to handle, serve, or consume alcohol. 2. Alcohol containers will remain behind the bar and will always be managed by a server. 3. Guests who appear to be over intoxicated will not be served. 4. Guests are not allowed to bring alcohol into the event. 5. Alcohol is not allowed out side of the facility. 6. Alcohol will not be served during any time not allowed by law. 7. Mixology Caters servers reserve the right to refuse service to anyone at any time. 8. Alcohol will not be served during the last 45 minutes of the event, for both guest and public safety. 9. Host must be of legal drinking age and must show valid identification to reserve event and purchase alcohol. 10. Any other agreement important to you to ensure your guests’ safety, provided it does not contradict any of the above.